Casey and RJ Frulla were married on August 8 in a beautiful rustic wedding. 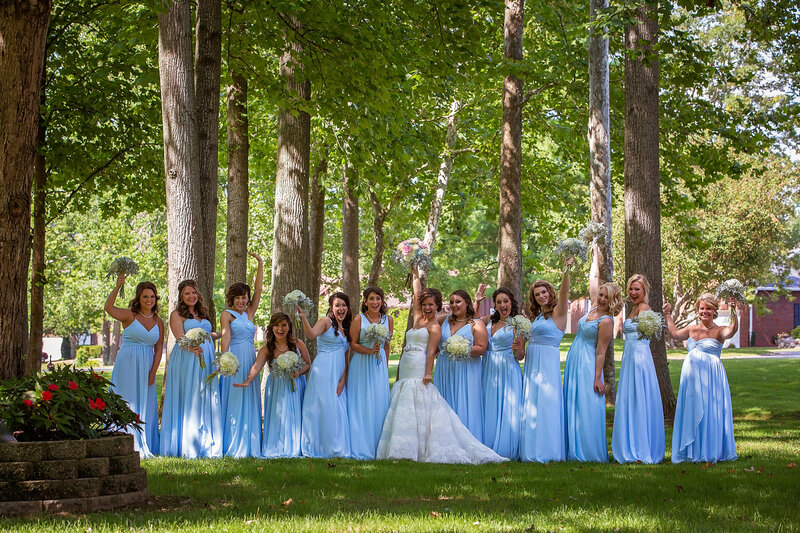 Her bridesmaids were donning various Azazie dresses in sky blue. We talked to Casey and asked her some questions about the big day! 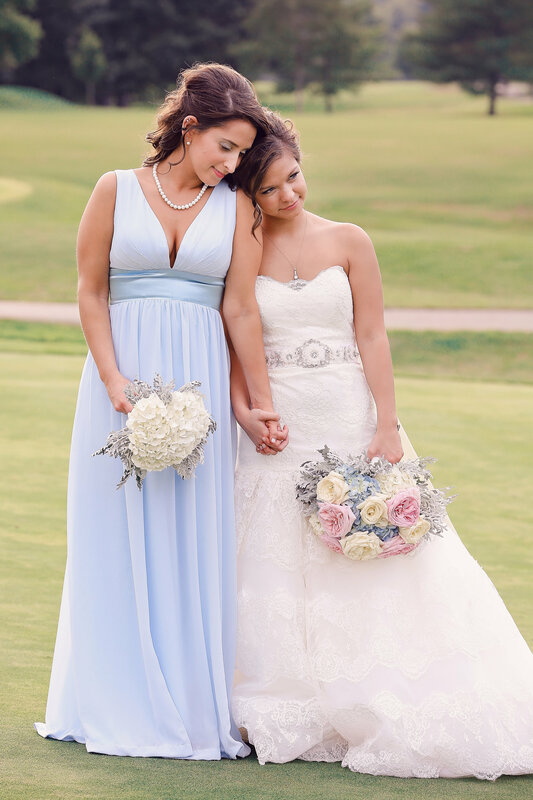 Special thanks to Kate Fisher Photography for these gorgeous shots of their special day! Q: Where did you have your wedding and why did you pick this location? Q: Did you have a theme or color scheme? Q: Why did you choose Azazie? Q: Any tips or advice for brides-to-be? Here is a look at the video from Casey’s wedding. Hope you enjoy! Thanks so much for sharing! The bride and her ‘maids look amazing!